Hey everyone! Summer is just around the corner and that means more quality time with family and friends. I'm pretty certain you don't want to ruin your precious vacation with sunburn so make sure you're protected from the sun's harmful rays. As for me, despite already having a holy grail sunscreen, I still enjoy trying out other products that won't leave your wallet crying. I was actually looking for a good sunscreen I could bring to my next trip. 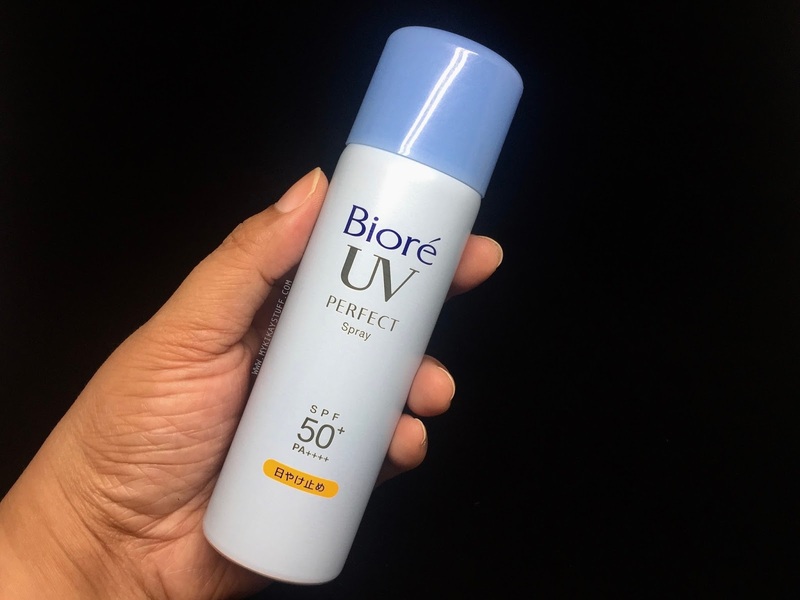 Since it will entail lots of sun exposure, I'll be reapplying sunscreen throughout the day hence portability and ease of application are important. Years ago, it didn't take me long to decide which sunscreen to get since there were limited choices. Nowadays, I'm so impressed with the variety of products offering sun protection. 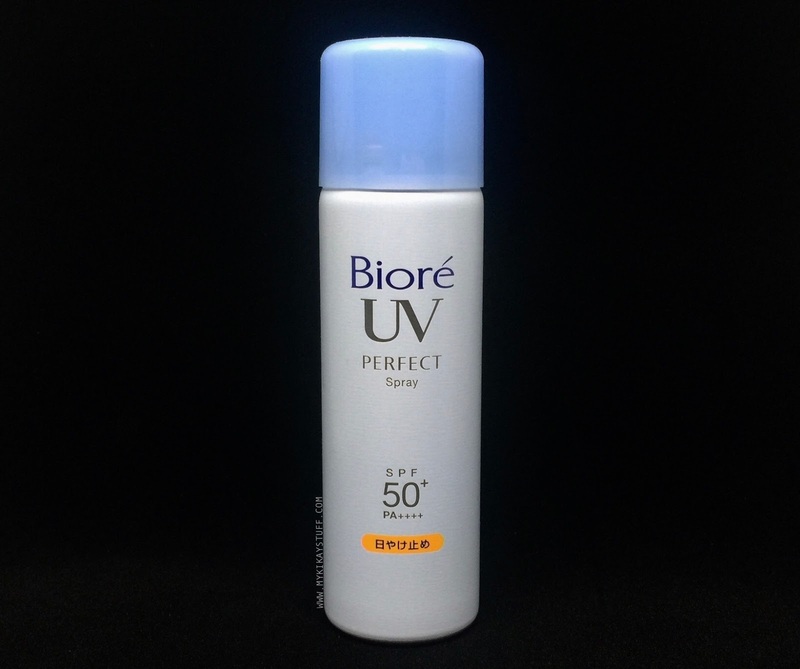 After visiting the beauty section of several stores, I narrowed it down to the Bioré UV Perfect Spray with SPF 50+ PA++++. 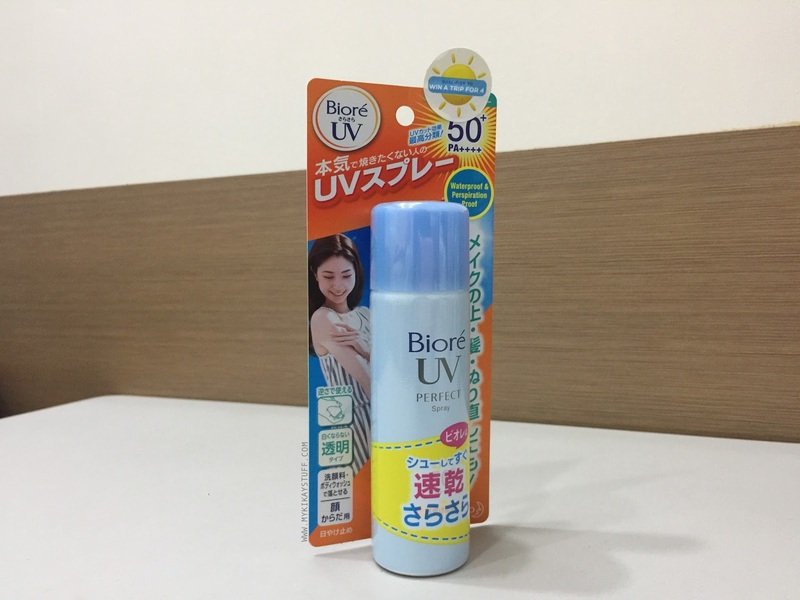 This Japan made sunscreen comes in a medium size canister containing 50 grams worth of product. I love that it's in travel size and has a nozzle spray that only needs a single press to continuously dispense a fine mist. Also, you can hold the canister any way you prefer and the spray still works! The instruction says to shake well before use then hold 10-15 cm away from head, body and hair. I love how it doesn't reek of chemical and how refreshing it makes my skin feel when applied. I'm quite impressed with how it goes undetectable on the skin even after multiple applications. It's also non-sticky therefore it makes your skin feel smooth and comfortable the entire day. The formula isn't greasy and doesn't leave a white cast so it can be used as makeup base. I like that it doesn't come off or melt when you sweat and more importantly the UV protection it offers with its SPF 50+ PA++++. For an extensive discussion on SPF and UV protection, you may refer to my previous post on skin facts and summer heat. 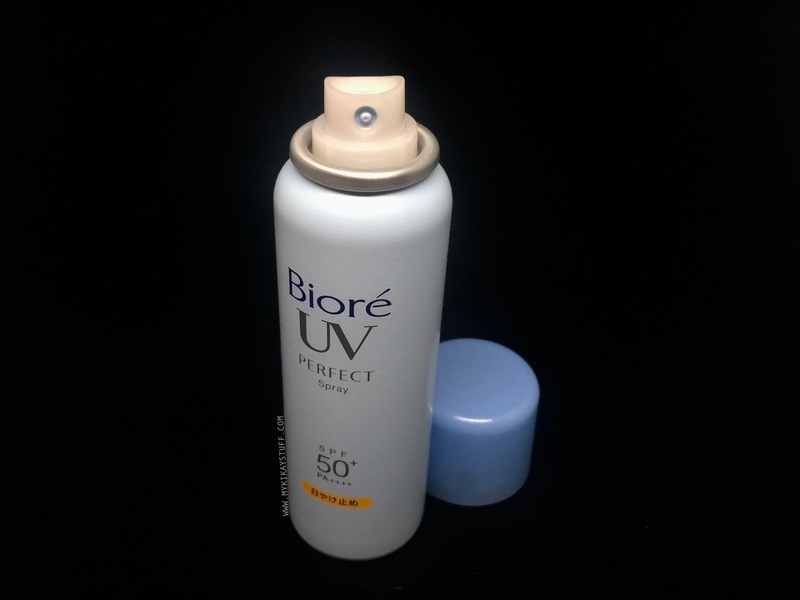 Overall, I am loving the Bioré UV Perfect Spray. It applies easily, doesn't feel heavy on the skin and can be reapplied in a breeze. Did I mention how insanely affordable it is? For only Php 320, you get a face and body sunscreen that offers excellent protection from the harmful rays of the sun. So gear up for the summer heat and get yourself one of Bioré's star products now!